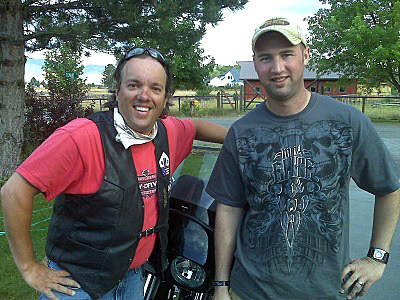 In July, I reported on the motorcycle trip of Chris Hutter, who traveled the Lincoln Highway this past summer to complete his following of the road all the way across the U.S. After reaching San Francisco, he rode to Seattle, then took US 2 westward. Just outside of Montana, he stopped for coffee at a road stop, and that was the start of a brief adventure that I’ll let him tell. I made a turn onto his street which was a typical small town street. As I rolled down the street near his house a middle age woman was standing in the driveway speaking to two younger woman in an SUV. The sound of my Harley caught their attention and they were all staring. When I turned into their driveway, stopped and took off my helmet they almost became slightly alarmed. I politely introduced my self as Chris from Pittsburgh, Pennsylvania, and that I was there to speak to the Nathan because I had something that belonged to him. Before I could finish my sentence they started screaming and cheering and repeatedly kept asking me where I found it. Within a moment, Nathan appeared and was walking down the sidewalk asking me where I found it. He was in total disbelief. He stated that he searched and searched and was getting ready to call his credit card companies to report the cards as lost. Turns out the wallet popped out of his pocket when he was pulling the leash for his dog that was also tucked in his back pocket. The dog took off and he quickly ran after it losing his wallet in the process. He then began to ask me what he could give me and my reply was “nothing, it is the least I could do for a member of our armed forces.” It turns out that Nathan had already served four tours in Afghanistan. A few moments later Nate’s father came outside, on his hat it said U.S. Marines, Vietnam 69-74. Again, his father asked what he could do for me and my reply was I owe more to you than you could ever give to me. I explained to them that I truly felt this way and they graciously accepted my reply. They are a family of true patriots and have given more to our country than we could ever realize. We are all indebted to them for their service. Without a doubt this was the best part of my 18 day trip. I quit blogging after this portion because it just could not get any better. A fire Saturday night destroyed a restaurant in Paradise Township near Lancaster, Pa., that had closed after a fire in 2008. 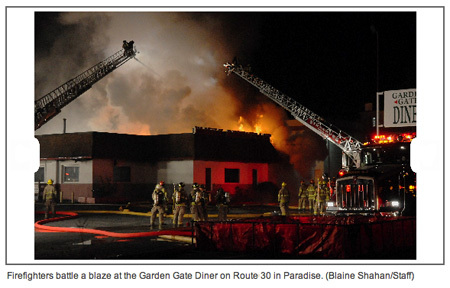 The Garden Gate Diner at 3105 Lincoln Highway East, formerly the Wagon Wheel Restaurant and the Route 30 Family Restaurant, was the scene of the two-alarm blaze, as seen in the photo from Lancaster Online. 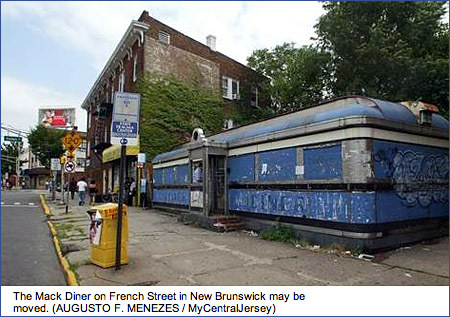 Another article reported that a rooftop cooling unit crashed through the ceiling into the dining room. More than a dozen fire companies responded to the scene. The older section of the building, which includes the kitchen and counter area, is standing but sustained smoke and water damage; the newer section to the west, which includes the main dining room, collapsed in the fire and was cleared by fire crews. The Illinois Lincoln Highway Coalition has completed the next in a series of Interpretive Murals stretching along its 179-mile corridor. The mural will be on the Geneva Masonic Lodge building at 10 S. Second Street in downtown Geneva, Illinois. 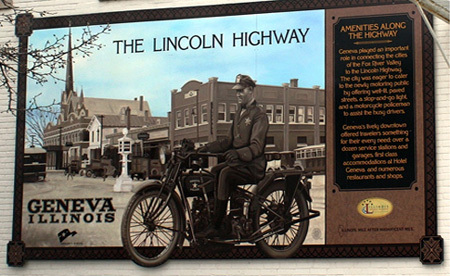 This mural showcases the Lincoln Highway in Geneva’s downtown, with a streetscape featuring the local motorcycle policeman. The vintage image is hand-painted in shades from a tonal color palette, bringing the images to life. As the designated byway management agency overseeing the 179 mile Byway, the ILHC seeks ways to recognize the significance of the highway and ways to make the stories come alive. After receiving a National Scenic Byway Grant from the Federal Highway Administration (FHWA) and an Illinois Department of Commerce and Economic Opportunity, Office of Tourism, Attraction Development (TAP) Grant, ILHC worked with Jay Allen of ShawCraft Signs to make this project come to life. Visitors can again enjoy an old-fashioned Christmas at the Cody ranch with a tour of Buffalo Bill’s home on Friday, December 17 from 5:30 pm-8 pm. 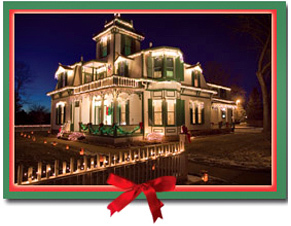 The 1886 mansion, 1887 horse barn, log cabin, and outbuildings are all decorated with lights. The mansion will have 18 lighted and decorated Christmas trees and decorations in the interior. There will be a large lighted and decorated Christmas tree in the barn where visitors can make their own ornament to hang on the tree. Santa Claus will be there for the children, Buffalo Bill will talk to visitors, and music will flow from the old piano in the mansion. Outside there will be roasted chestnuts, hot apple cider, and cookies. Draft horse-drawn hay rack rides will also be available, weather permitting. Admission is $5 per person at the door, children 12 and younger are free. 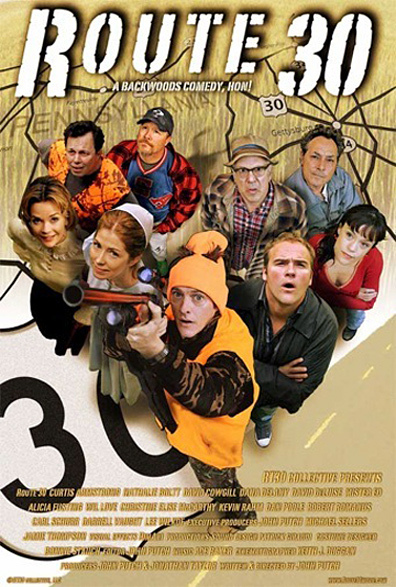 Park entry permit required.